Align the organization based on current and future business needs. 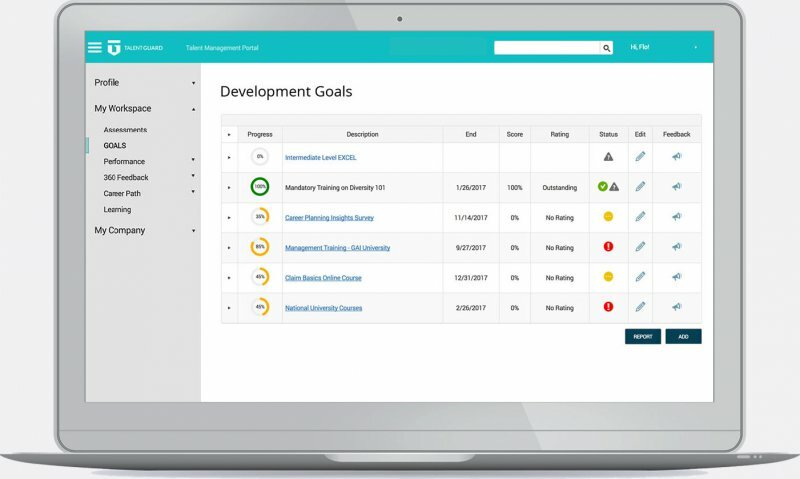 Understand retention risks and enable proactive intervention. Create a talent pipeline to fill future positions. Recommend developmental opportunities to accelerate the growth of individuals and talent pools. 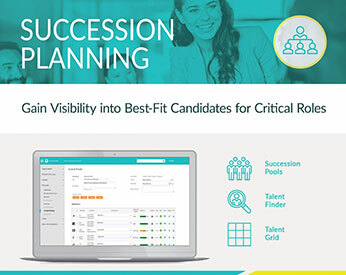 Succession planning software enables HR teams to determine key roles, identify high-potential employees who can fill those roles, create dedicated talent pools and accelerate the development of skills required to be successful. Recommend development opportunities to accelerate growth of individuals and talent pools. 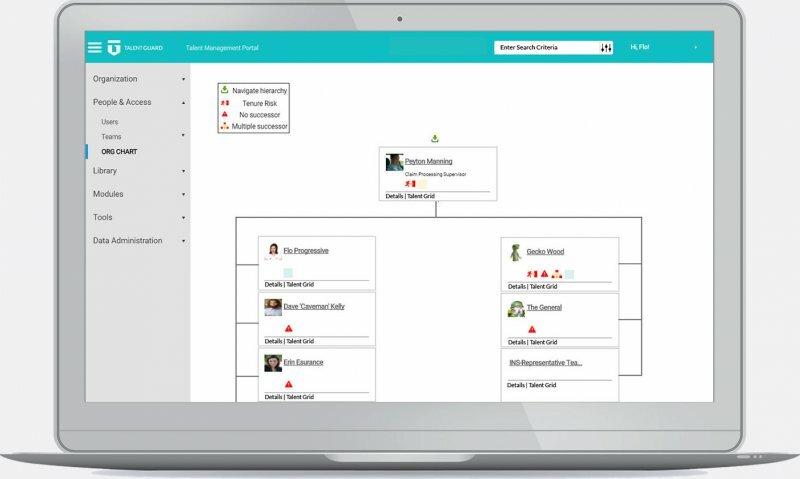 The organization chart makes it easy to see your entire organization in a single view. 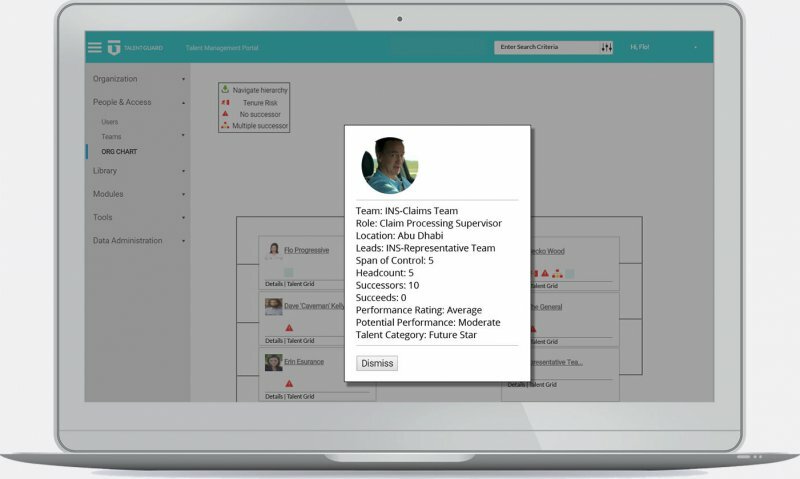 View the employee’s “Baseball Card” from the organization chart. 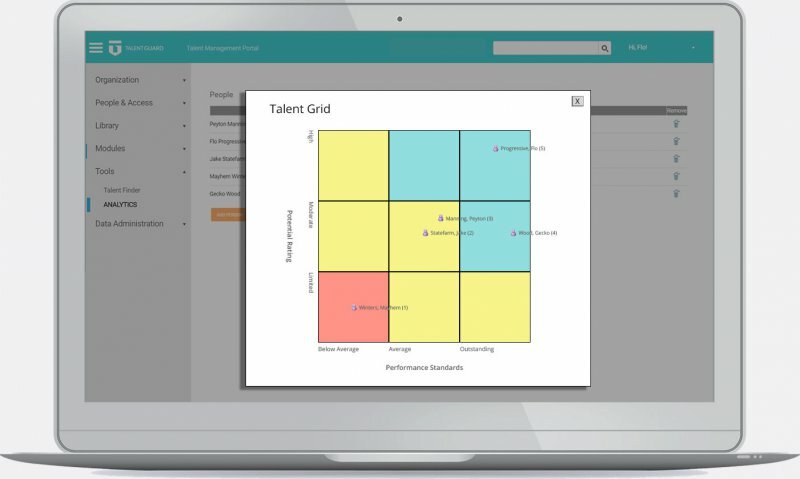 Create custom talent grids and view employees against performance and potential criteria. 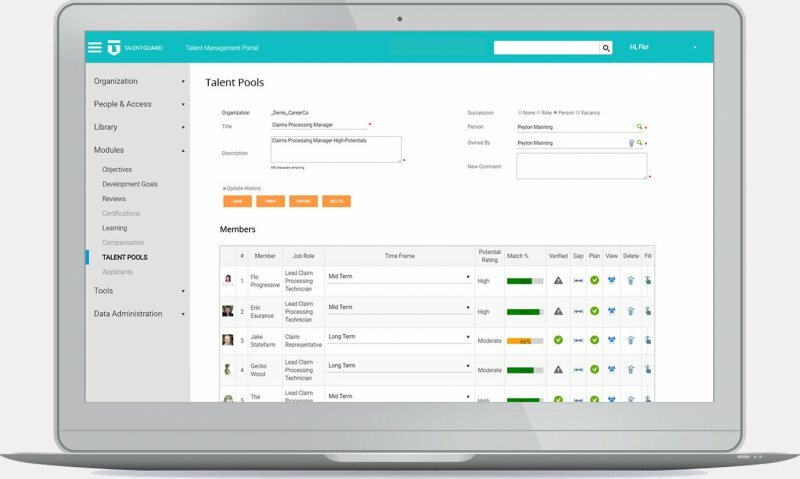 Create an unlimited number of talent pools. 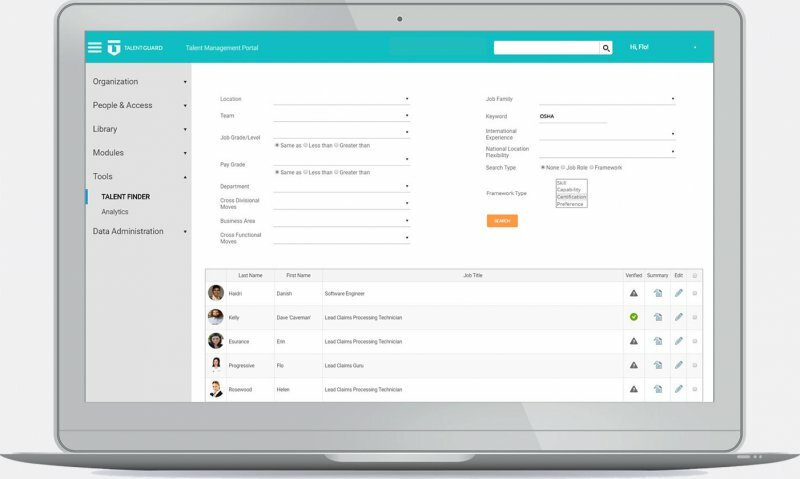 Search and identify talent with specific criteria. 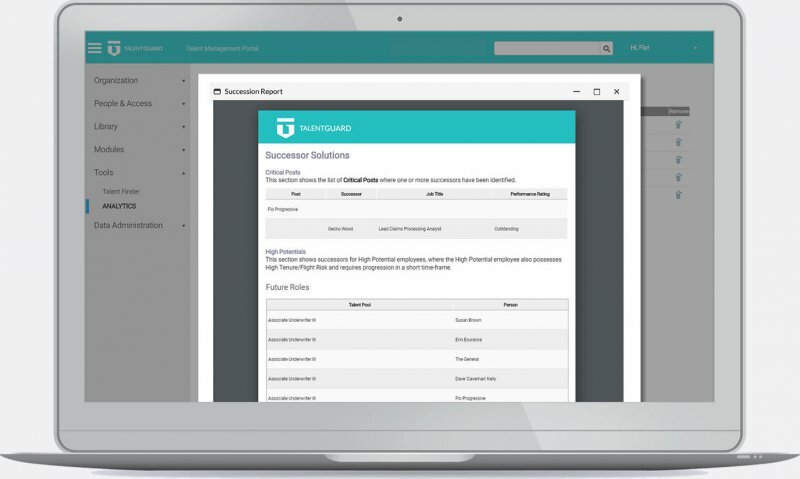 Access multiple succession and talent pool reports to make informed decisions about your workforce strategy and employee development. Eight times more likely to excel at maximizing efficiency. Twelve times more likely to improve employee engagement. Twenty times more likely to improve career development opportunities.